James S. Dunn Jr., M.D. Auburn Urogynecology and Women’s Health Providers James S. Dunn Jr., M.D. 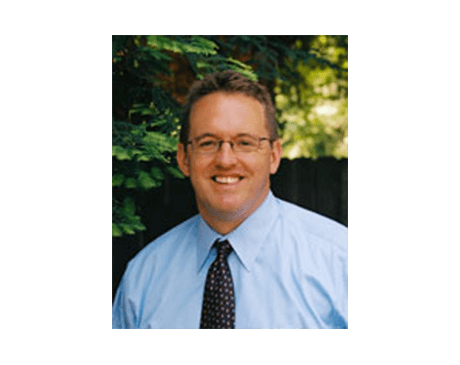 James Dunn, MD, with Auburn Urogynecology treats the unique health concerns of women throughout the Sierra Foothills community of California. After graduating from the prestigious U.S. Air Force Academy in 1991, Dr. Dunn went on to earn his medical degree from Louisiana State University School of Medicine in New Orleans three years later. He completed his residency in the U.S. Air Force at Keesler Air Force Base in Biloxi Mississippi, followed by a three-year fellowship in urogynecology and pelvic surgery at Greater Baltimore Medical Center in Towson, Maryland. Dr. Dunn is board-certified in obstetrics and gynecology as well as female pelvic medicine and reconstructive surgery. At Auburn Urogynecology, he provides not only routine preventive care for women's health concerns but treats more complex conditions as well. His specializes in the treatment of pelvic organ prolapse, painful bladder, and incontinence to reduce patient discomfort and symptoms. When Dr. Dunn feels surgery is advisable, he prefers a minimally invasive approach, utilizing laparoscopy to achieve great results with minimal scarring, pain, and downtime. He performs many of these procedures in the comfort of his Placer County office. Dr. Dunn believes in consulting the latest, most noteworthy medical research to diagnose, treat, and manage conditions affecting women’s health. This evidence-based approach to health care ensures every patient benefits from the most up-to-date and effective treatments and procedures to enhance their health and overall well-being. With compassionate, personalized care for a wide range of urogynecological conditions, Dr. Dunn helps women feel their very best. His caring demeanor and extensive experience make him the ideal choice for women in and around Auburn who want to stay active and vibrant at every age and stage of life. When he’s not in his office, Dr. Dunn enjoys hiking, skiing, and spending time with his wife and children. He is accepting new patients. Call or click to book an appointment with Dr. Dunn today.